Atheneum Books for Young Readers, 9781442450899, 304pp. Jewel never knew her brother Bird, but all her life she has lived in his shadow. Her parents blame Grandpa for the tragedy of their family’s past; they say that Grandpa attracted a malevolent spirit—a duppy—into their home. Grandpa hasn’t spoken a word since. Now Jewel is twelve, and she lives in a house full of secrets and impenetrable silence. 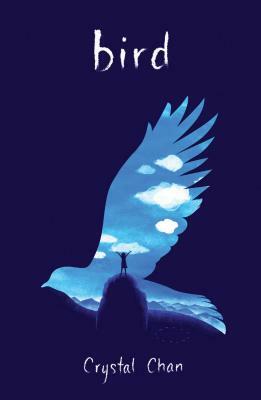 "The voice of 12-year-old Jewel carries readers through this lyrical and buoyant debut from Crystal Chan. . . . Chan's strong characterizations and her way with words make her a writer to watch." "Jewel’s observant reflections on her rural-Iowa world give this debut its considerable charm...the strong opening bodes well for future endeavors." “This is a slow read—thoughtful and introspective about the dynamics of a grieving family—and contemplative readers will be rewarded by Jewel’s journey." "Jewel is a multilayered, emotional character who struggles to come to terms with her family’s issues. The mixture of superstition and science creates a wonderful juxtaposition in this powerful story about loss and moving on." "Daughter of a Jamaican father and her half-Mexican, half-white mother, Jewel has always felt out of place in her small Iowa town. . . . When Jewel meets John, an adopted black boy staying with his uncle, she finds a kindred spirit, someone as out of place as she is. . . . Chan has carefully crafted John and Jewel as effective foils for each other; their shared interest in science propels multiple metaphors that help Jewel figure out what is solid and knowable versus what must be taken on faith or intuited. . . both character arcs show a deep respect for readers’ abilities to negotiate the complexities of belief and doubt, and to find meaning via character reflection."